Bright and colorful sling fabrics in solid and striped designs for a stylish resort look and feel. 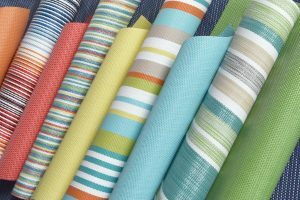 Phifertex Stripes offer a broad range of designs with colorful bands and strips of texture. Vibrant colors and classic weaves for sling furniture. Superior strength for tough projects. Be the first to discover what’s new with Phifer designed fabrics. Sign up today!